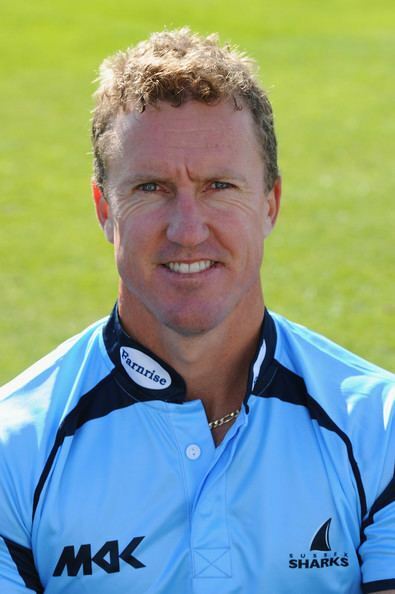 Murray William Goodwin (born 11 December 1972) is a former Zimbabwean cricketer who played 19 Tests and 71 One Day Internationals. He is a right handed top-order batsman, who is strong on the back-foot, as well as being a good cutter and puller of the ball. Born in Rhodesia, Goodwin emigrated to Australia as a child. He moved back to Zimbabwe, and represented that country for two years between 1998 and 2000. His wife had trouble settling in Zimbabwe, and so, after the England tour of 2000, they moved back to Australia. After his retirement from international cricket, he became a regular for the Western Warriors in Australia and for Sussex in England. 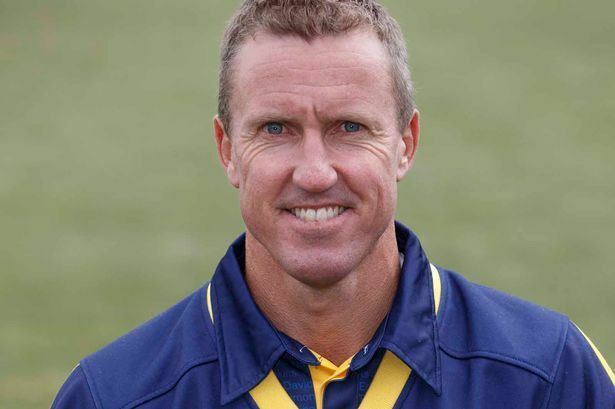 He made 1,183 runs for Western Australia in 2003–04 and highlighted his consistency with 840 the following season. He has also played for the Netherlands as an overseas player. Goodwin holds the Sussex record for the highest individual innings, with 344* against Somerset in 2009, beating his own record of 335* set in 2003. Goodwin's 2003 innings helped Sussex to win their first-ever Championship title, after 164 years. He is also the only Sussex batsman to have twice made a double century and a century in the same match. Goodwin led Sussex to the league title in the final match of the 2008 NatWest Pro40 competition. After the collapse of Sussex's top and middle order against Nottinghamshire CCC, his 87 not out from 64 balls steered Sussex to victory. 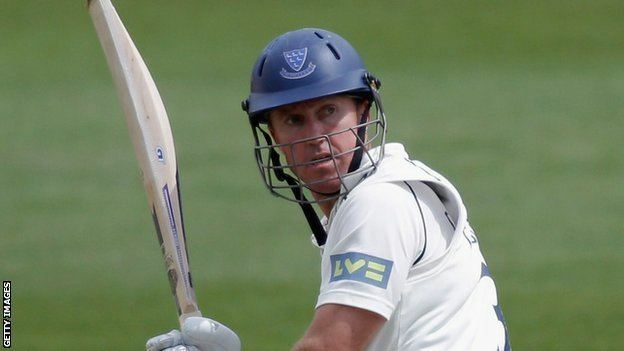 Needing three runs from Charlie Shreck's final delivery to tie the match and ensure victory for Sussex in the league table, Goodwin hit a six over long-on to clinch the game. Goodwin was released by Sussex County Cricket Club in August 2012, but was soon snapped up by Glamorgan, with whom he signed an initial 1-year contract on 17 October, 2012. In his first season with Glamorgan, Goodwin averaged over 56 with the bat in the County Championship, this triggered a year extension to his contract.